50 Pack of EFTPOS Receipt Rolls, size 38 x 57. 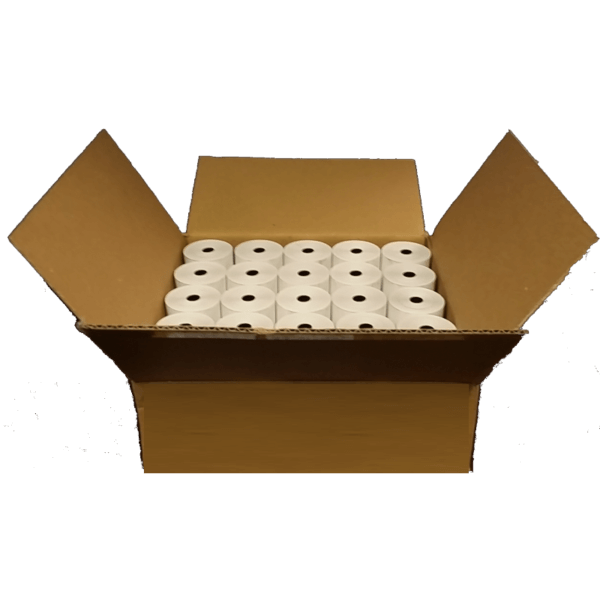 Subscribe and receive an order of 10 paper rolls every month. You’ll never have to think about paper rolls again, and best of all they’ll be delivered to your door! These are NOT the oversized ones of 50 x 57 which are available but do not fit all machines! It’s simply just something off my mind. Great function, great price and always quick delivery. Couldn’t recommend more. Easy delivery, comes through every month. No hassles and works with all my different machines.